Last edited by Foo_R_U : October 16th 2017 at 10:36 PM. James Flames (Greensboro) a/p go on sale today, 10am pst, 1pm est, 6pm uk time. Sold Out. Dave Quiggle (Richmond) a/p go on sale today (20th Oct), 10am pst, 1pm est, 6pm uk time. Jermaine Rogers (DC) a/p go on sale today (20th Oct), 12pm pst, 3pm est, 8pm uk time. 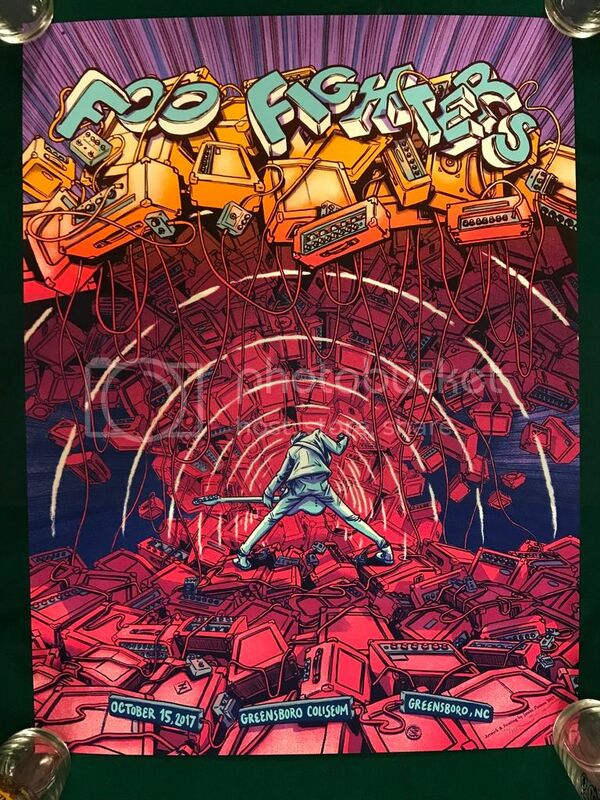 Will update with more info later on the newer posters & if artist sales occur. 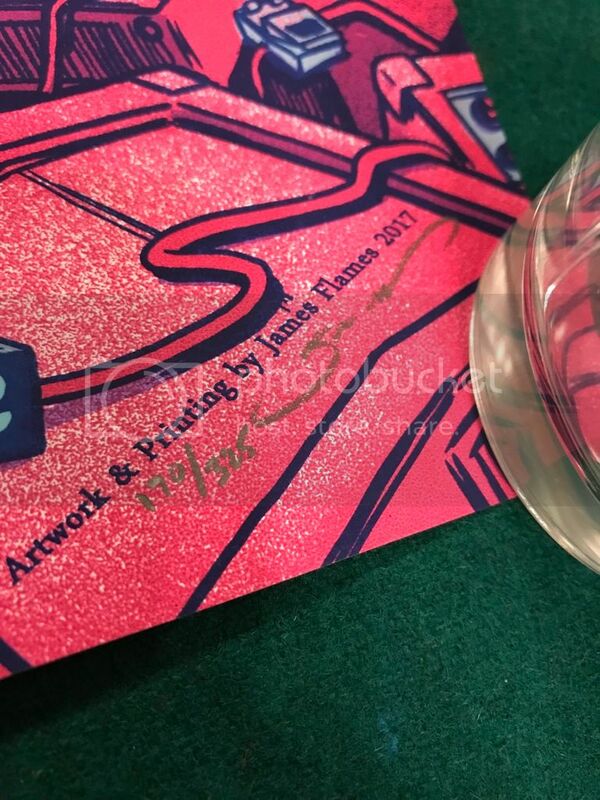 Edit: James Flames sold out. Last edited by lharris92 : October 20th 2017 at 01:26 PM. Thanks for posting the info above! I was getting ready to post about the James Flames Greensboro drop and saw your post. Been staking it out to get some info, glad I came across it. Hell yeah that’s awesome you got an AP and Hot-Dots Foil!! I struggled when deciding between the two foils. Poster done by Status Serigraph, 2 editions: show regular and foil. Show Edition: 18 by 24 inches. Numbered out of ? Foil Edition: 18 by 24 inches. Numbered out of ? Regular, 18 by 24, signed and numbered out of 60. 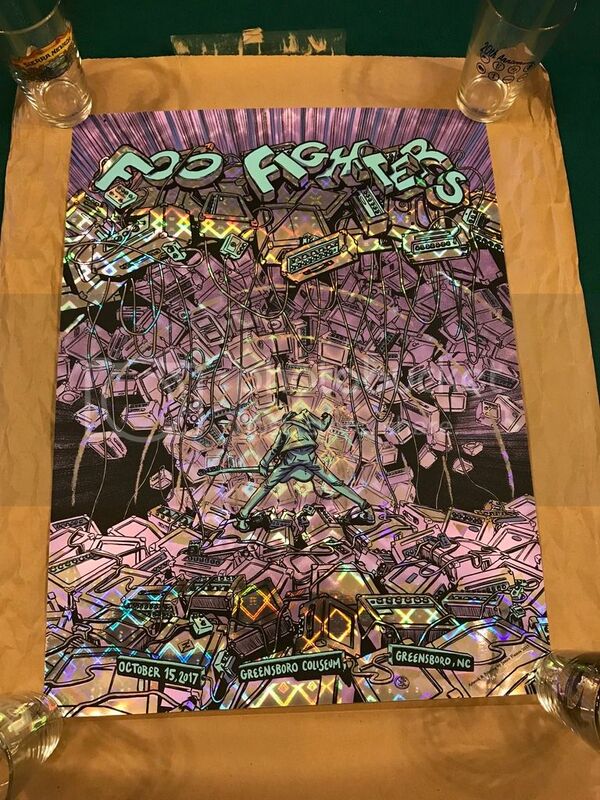 Iridescent Foil, 18 by 24, signed and numbered out of 30. No luck in picking up a one of the Jermaine Rogers variants for DC. Oh well. I'm happy with my show print. I wasn’t planning on buying today but I landed a jermaine DC stardream bronze x of 10. Did you guys notice that his site crashed??? I initially got that screen, but with enough refreshes it eventually loaded. Got as far as adding a lava foil to the cart, but it was gone when I tried to confirm the purchase. paypal confirmation is all you usually get for some of them, as far as I can remember. When ordering from Jermaine Rogers, you get a paypal confirmation and then an order confirmation from Jermaine within a few minutes usually. 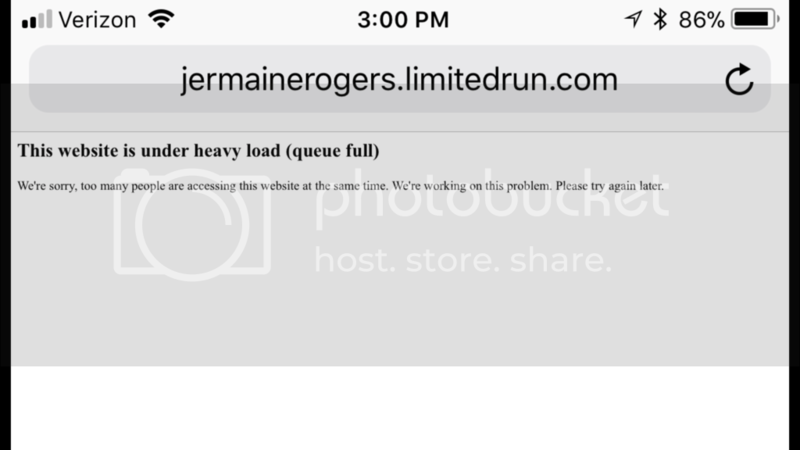 However his site crashed yesterday and delayed his order confirmation. I didn’t received my order confirmation till 6am eastern this morning. Thanks, gang! My confirmation came through earlier this morning. Looking forward to Lexington tonight - flew down from DC to take my sons to this show, and should be another good time. Last edited by Foo_R_U : October 24th 2017 at 09:02 PM. They did end up selling the cancelled European dates after the Bataclan attack, so there may be a chance. 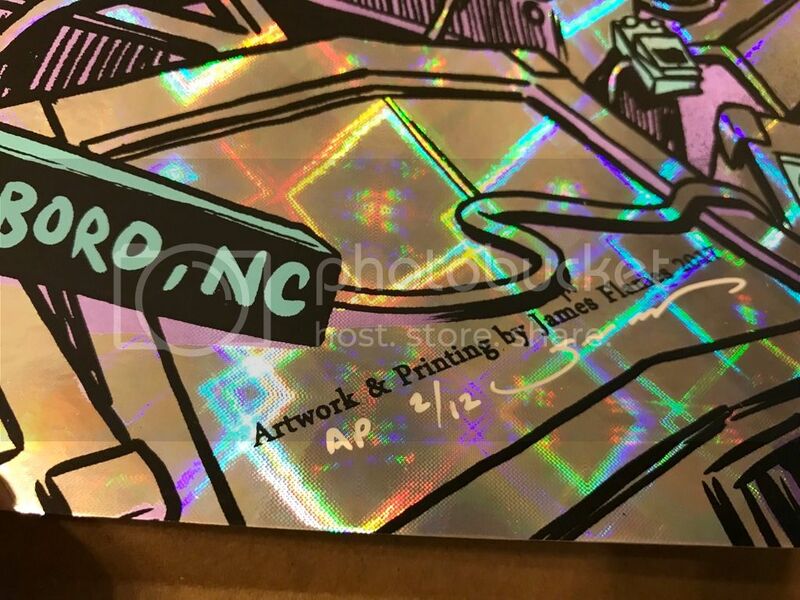 James Flames Greensboro, NC diamonds foil AP 2/12 arrived today! Last edited by Foo_R_U : October 30th 2017 at 09:24 PM. Last edited by worrell38 : October 31st 2017 at 07:43 PM.